This comfortable, lightweight pant is perfect for wearing in the cooler weather. Its Polyester Taslon construction makes it warm and comfortable and the stylish Uglies design on the leg is a real head turner. 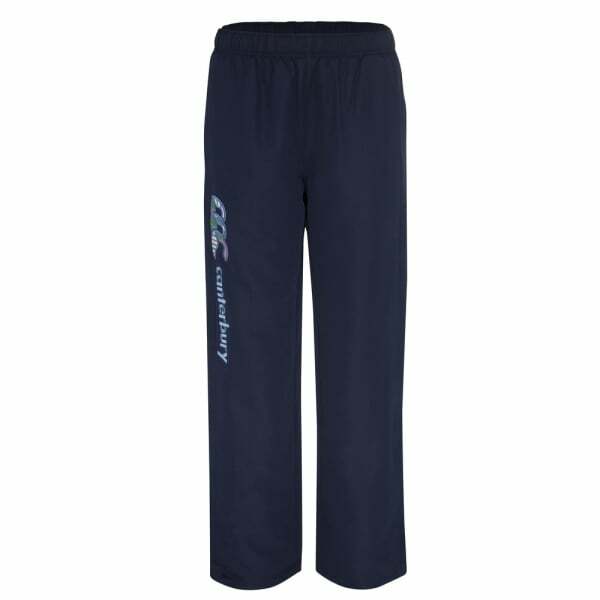 Classic training apparel, Canterbury’s Uglies Track Pants are built for action from 100% Polyester Taslon. The Uglies range is all about stylish comfort and these track pants are no exception. Fully lined, they provide exceptional warmth for training on cold winter days. They’re packed with clever ideas including zip closure side seam pockets to prevent valuables falling out during exercise and zipped side seams on the legs, making them easier to put on or remove, particularly if you’re wearing shoes or boots. With an artistic render of the Canterbury logo on the side of the leg, this is stylish casual wear for both on and off the training field.